Black Gold® brand offers premium level baling productivity for customers who are looking for high quality American-made twine with actual lengths and premium strengths. 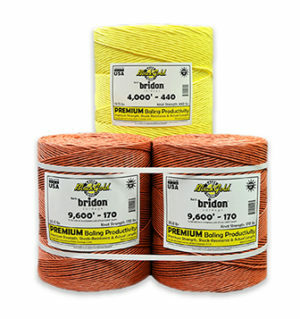 Our premium productivity Black Gold® twine is tested to beat the competition on actual strengths and lengths. Provides premium shock-resistance and UV protection.